In the very recent past, vending machine snack options were limited to a narrow range of processed foods, from cheese curls to neon-yellow snack cakes. Today, technological innovations have lead to a change in the narrative surrounding prepackaged snack food. Snacks once considered highbrow such as hummus and pita chips, meat and cheese, fruit and nut combinations, and even prepared meals like the ones from Tiny Grocery now substitute for the glowing cheddar variety of dry packaged goods. 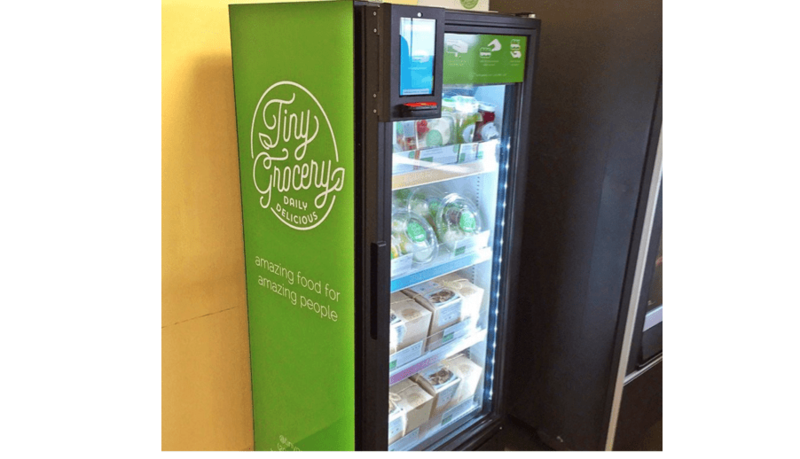 Innovations to vending technology such as refrigerated standalone machines have allowed major CPG and prepackaged food manufacturers to extend their product offerings into the refrigerated world. Decreasing the temperature of the standard vending machine and supermarket displays cannot be solely attributed to the success of the new guard of packaged snacks. The product management teams at companies such as Creminelli, Hillshire, and Sargento have changed the way the products are marketed toward consumers. In order to change the status quo, one must innovate. Changes to the packaging of snack products were one of the first steps toward shifting the product category. An example of a small packaging change that lead to a larger category shift was the introduction of clear packaging used on the exterior of snack foods. Comparing the package of Creminelli’s Casalingo Mix to a package of generic potato chips, one can easily identify the large product, the quality, and freshness contained inside the package. This enhanced saliency of the ingredients promotes a feeling of trust between the consumer and the product. Creating this sense of trust is the first step toward enticing a selection when a consumer is deciding between a prepackaged snack or a fresher, more perishable option. When it comes to packaging perishable items, trust is beneficial in conveying the premise that not only is the food worth its price, but also within the date range that it is safe to consume. Creating trust in other packaged snacks such as chips and cookies is inherent, as these goods are known to be shelf stable and not as prone to losing freshness or quality over time. Once trust has been built between the consumer and the brand, snack brands can begin to persuade the purchaser to choose its specific product compared with others within the same category. The ability to solidify the consumer’s choice at this point in the selection process lies within the package’s graphic design. Innovations in the design of the snack packages have made the products more attractive to consumers. 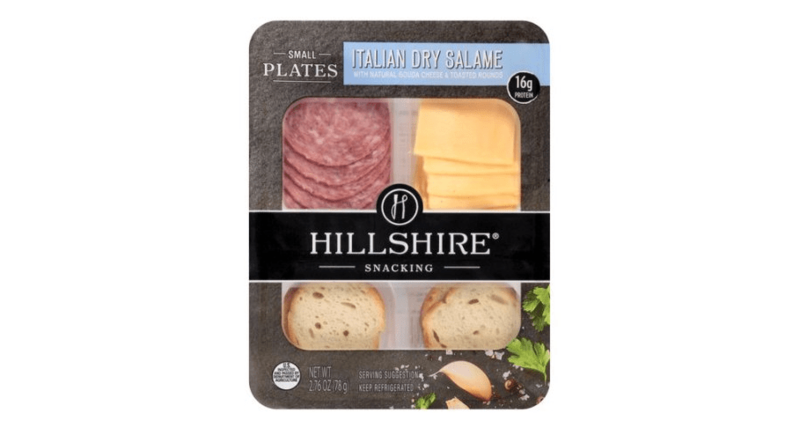 Hillshire’s Small Plates leverages darker, richer colors on the exterior of the packaging to signify the premium nature of the product contained within. Using darker tones in the color selection of packages has been shown to elicit emotional feelings of wealth and value. By utilizing color to change the norm around perishable packaged snacks, brands are able to position their products as premium and reflective of the careful design used on the exterior. Where other products use brighter colored package designs to grab attention, premium products leverage behavioral science to tap into underlying associations between color and attributes. Aside from changes to the physical packaging used in premium prepackaged snacks, changes to the content and ingredients are key in guiding consumers to choose a better-quality option. 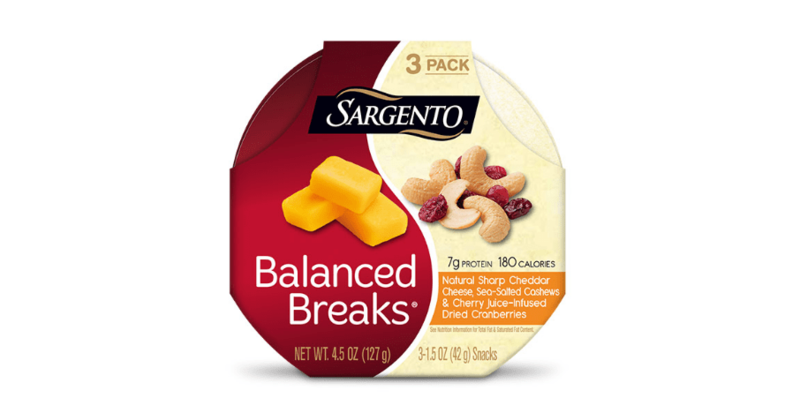 Offering a variety of snack combinations such as those provided by Sargento’s Balanced Break Snack Packs, consumers are able to tailor their choice to their personal preferences. While cheese churls may only be offered in a limited range of flavors, premium snack options such as the Balanced Breaks allow the consumer to choose between sharp cheddar and cashew nuts and Monterrey jack with chocolate covered peanuts. By handing over the choice to the consumers to decide exactly what product they want, selections become more personal as if the customers were dining at a restaurant or higher end snack shop. These examples of in-category winners are meant to serve as suggestions for changing consumer behavior through package design and innovation. Changing consumer behavior through well-thought-out design is possible with the right recipe outlined by brands with the power and reach to effect such change. The impact of the status quo can still be seen in vending machines and snack displays around the globe, and a large majority of products still rely on traditional packaging principles. This reliance on traditional principles is not always problematic, as legacy snack brands have developed an image that works well for them. Drastic shifts in changing the experience of consuming their products may have an opposite effect on legacy snack products. The increase in fancy prepackaged snacks has not likely cannibalized the legacy snack industry on its own, rather helped grow the amount of consumers interested in introducing prepackaged snack products into their lives. Changing the packaging and content of a product is easy when the category is relatively undeveloped or a company is looking to enter a new market. Before innovation took place, it was easier for companies to make these changes. 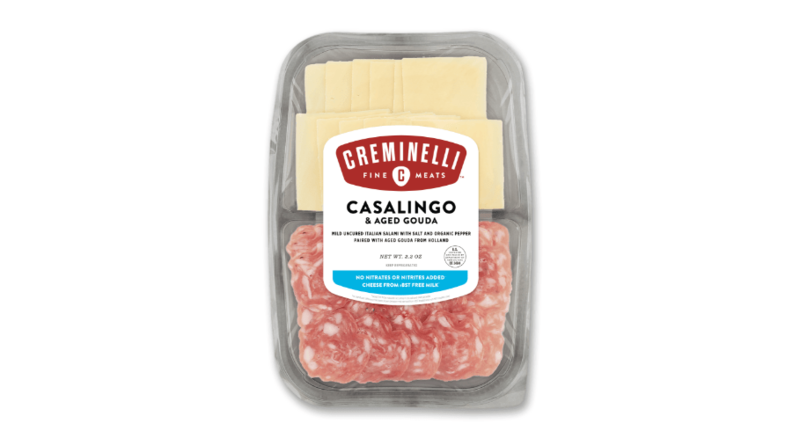 Creminelli, Hilshire and Sargento have played an integral role in changing the norm around snacking. Because these companies spearheaded the change, the category of premium, or perishable snacks, has seen a cross-category growth of 1.1% over the past year.